You're probably wondering why I haven't dropped anything in the past few months, or not; let alone said anything. That can be summed up to my computer dying and me losing all of my stuff. It's also why the OP is still a broken mess. Anyway sometime in the future I'll revive the thread or start a new one. Hi. I make things, occasionally, for myself. Thought I'd share with others because that's what good people do. Might as well throw this in here. Still being worked on over the course of whenever. Do note the image above showcases how this menu appears in the Patt Anderson build. the magic of jrpgs (lol is it even a jrpg) and smash. Doesn't desync. 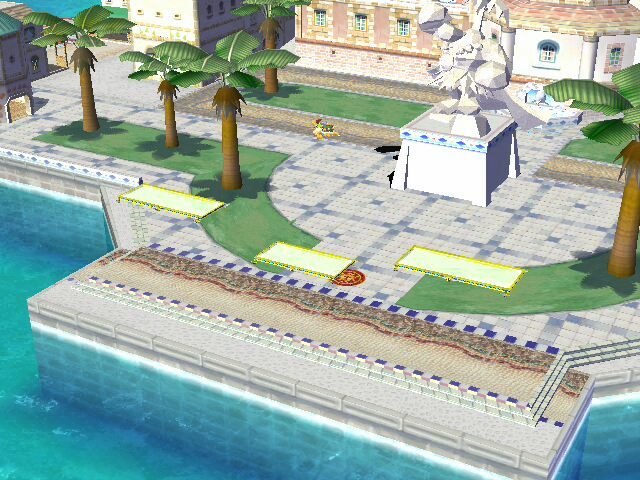 Bowser Jr. can also be seen running around causing mischief in the background. 'X' simply because it's my interpretation of a balanced stage, and not +'s or P:M's. A rebalanced Brinstar, with only a few minor animation issues. the breakable orbs in the center have been removed and both sides of the stage has been pushed together. Everything else is aesthetic. Soopercool has a similar vision to what I wanted in a balanced NPC. Upon opening the file I discovered that he removed the 3rd center platform (probably for size reasons idk) as well as the limo. So I simply re-added them in and adjusted the background so it isn't so far away. 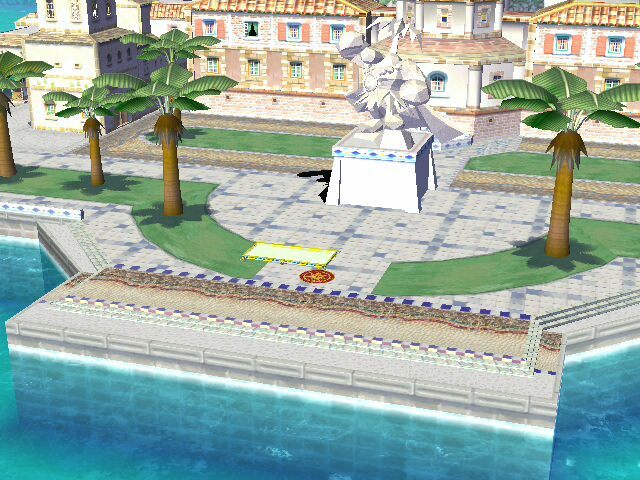 The first vBrawl stage I wanted neutral-ish. Layout is similar to Super Smash Land's "Underground." Structure on the right functions as a weird wall-staircase. There's and elevator on the right. Moving platform above the main stage. Etc. Oh and there's a hole. That's neat, right. It still needs a bit of collision bugfixing. The first tier of block act as solid walls/ceilings (lol), while the ones after function as normal platforms. That's what I'm aiming for but bugfixes, yeah. If you're familiar with the stage, you'd know how gorgeous it is. You'd also know just how large it is. You're now restricted to the bridge area and the two leaves that accompany it. It's still large as hell tho. More of a balanced-casual stage. Not much to say here. If you're familiar with the original stage, you'd know it lacked platforms, so I've added 3 in a reverse BF layout. Lensho's GGG resized and shortened with a few minor background edits. Nothing special. Might as well throw this in here. Still being worked on over the course of whenever. Do note that it looks more or less like ^this photo (without the not-so satisfactory csps of course) than the top one. That version is exclusive to pat anderson's build. Quick question: I tried to edit the layout of the Mushroom Kingdom X stage, and I noticed something. 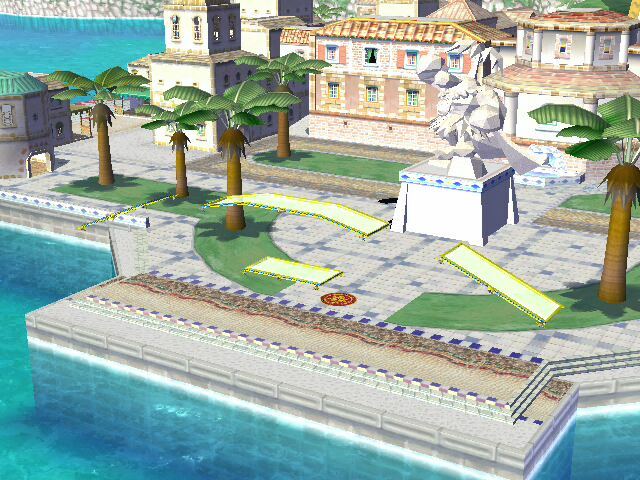 The SCN0 in the version with Brawl textures isn't from the original stage, at least by the look of how visible the objects in the background were. You're right, that's because I simply extracted the model from the original mushroomy kingdom stage. Applying the brawl textures were a last minute thing as I was focusing on the NSMBU textures. If you want, I can apply the SCN0. If you could apply the SCN0, that would be great. Wow! That's some pretty cool stuff! Gonna try out Green Grove (can't believe i missed this on the vault) and Newpork for sure. Do you happen to have SSP/Stage Preview files for Green Grove? Updated Brinstar: X. Restored majority of the animations as well as included a Metroid version. I'll make them in a second. I've attempted to import the SCN0 several times, but they give the same effect. I'll keep looking into it and let you know if I find a solution. Not that it's that big of a problem. Hey, you're quite a pro at this! These are the best and most unique balanced versions of stages I've seen. no more battlefield and Dracula's Castle replicas. Where's the Kingdom Hearts stage over Final Destination!? Lol I know you have it, stop holding out. Thanks! I've been experienced with general brawl modding since '10-'11. Late '13 is when I first began working on more advance mods, like stages. Trying to learn 3ds max too so I can contribute more original content. I really like your stuff, especially the characters. But seriously, some of the stages have a really good design, the New Pork City edit is one of my favorites. Are you open for collabs? Sure. I'll come up with some placements and show you when I'm done. Awesome, I'll pm you details. Because I'd really like a balanced version of Melee Yoshi's Island. Its my favorite map and it was replaced in PM by the new Yoshi's Island. It could be just a retex of the current Yoshi's Island, with some extra stuff from Super Mario World added in the background. Like Lakitus instead of Shy Guys. Just needs some lighting fixes in this version. And it'll be up. I love you. This is freaking awesome. Do the blocks flip when hit or are they just platforms? Either or, its so good. please let me have this. they flip. I wanted to keep that in tact. Awesome! So what about the background, is there going to be landmasses in the background for aesthetics like in the old one? And Banzai Bills and Lakitus? This thing is sweet. Any way to put it over somewhere else like Frigate Orpheon or something? I actually enjoy the one PM provides. on the left side choose yoshi's island melee, and on the right side choose frigate. You'll then get a file named "st_orpheon.rel"
Rename the stage to STGORPHEON and put both files on the sd card. If the first Yoshi's Island stage redux isn't balanced enough for competitive, I'd like to see the blocks replaced with the clouds from SMW, but that would require new models/textures to be made. 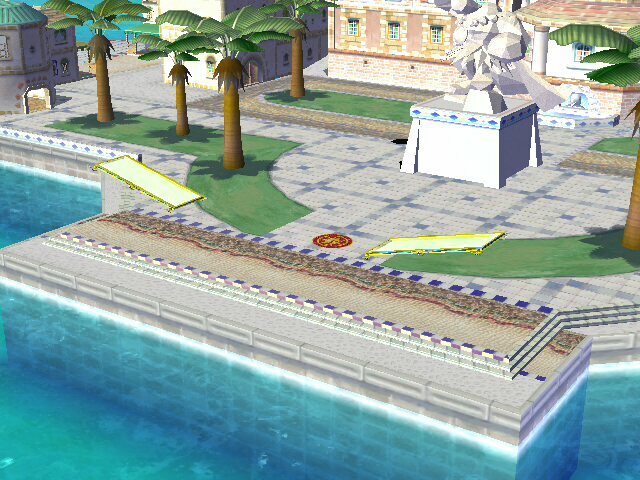 Also, are you also planning to make a new competitive Green Hill Zone? Because that would be awesome too. This guy has helped me with all of my PM problems. I think he's a god. Hey, what does the Ace Attorney thing go over? Goes over FD by default. There's a rel included in the dl if you want to port it. I didn't plan on redoing stages that P:M already did. Besides, there are plenty of GHZ balance edits out there. No need for another one, right? I may consider it after I'm done with the current agenda. Can it go over anything? I'm sure it can. Well maybe except Castle Siege. FD stages don't work on that slot. I have mine on a custom slot and it works fine. Would you be able to possibly add some Wheelie's in the background of Halberd that are driving around? I have replaced a an alternate version of Yoshi's Island with this. Very nice. Is there a possible way for that Courtroom to have SFX? For some reason the Pillar CSS isn't working for me. I replaced the Misc30/40/70 with brawlbox and used the fusionizer to fuse the codes, but it still doesn't show up in game. Did I miss replacing something? That was on the original to-do list. I'll get around to it after other things are taken care of. As much as I'd love to hear wright and edgeworth go back and forth, I don't think it's possible, or at least within my abilities to program the game to read sound for a FD based stage. Really now? Can you walk through the steps you performed? On a side note, I'm working on an Eldin edit, but I'm skeptical on whether or not I should release it. My Courtroom is over Frigate Orpheon. I'm still not sure. Take warioware for example; the version I have is ported over a custom slot, resulting in no microgame sounds.